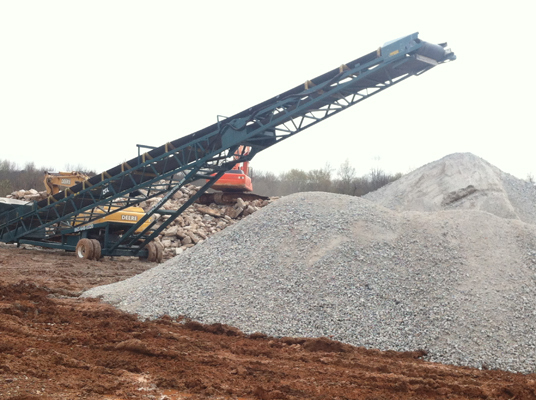 Concrete Recycling at Lee’s Mill | Precision 2000, Inc. 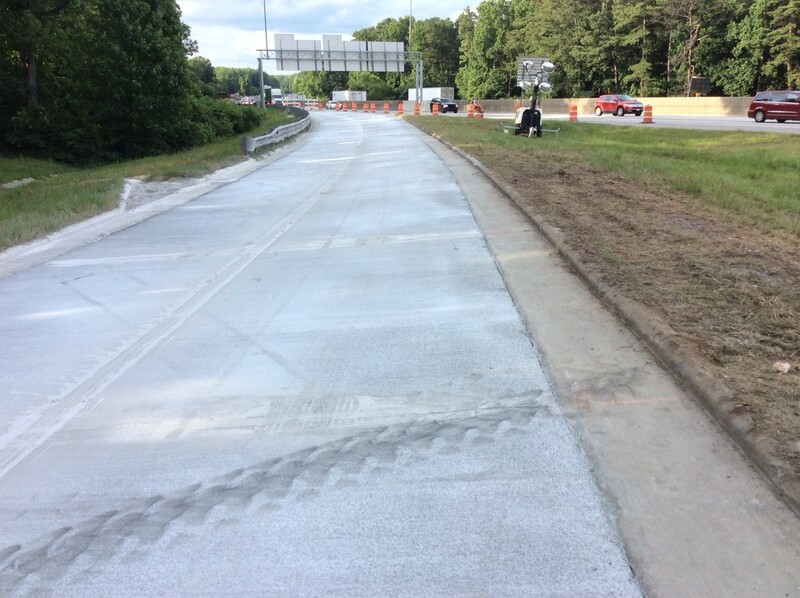 Precision 2000, Inc is committed to protect the environment for future generations. 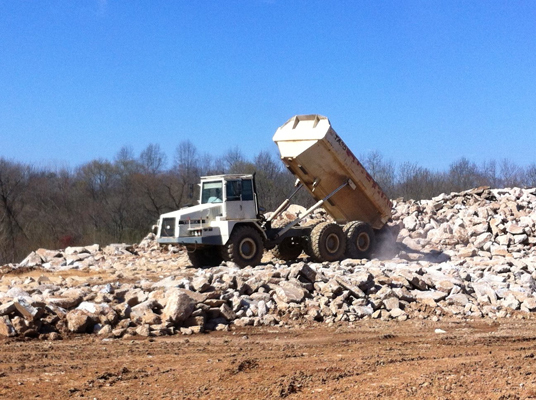 Throughout the years we have been recycling the demolition that comes out of our jobsites instead of dumping it in landfills. 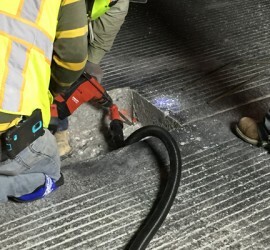 The objective is to recycle and process concrete and convert it to usable construction materials. 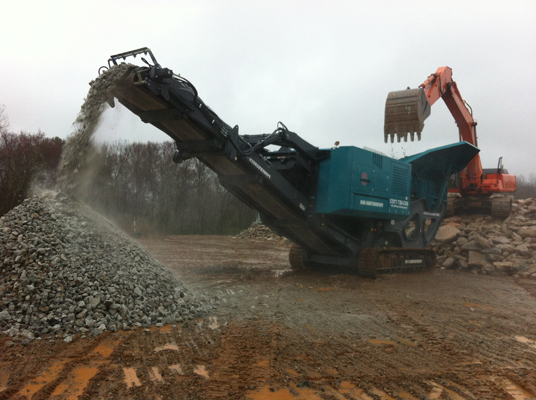 In this particular project, we used a powered machine crusher and closed the circuit with a screen. 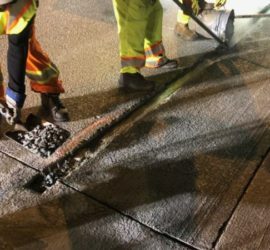 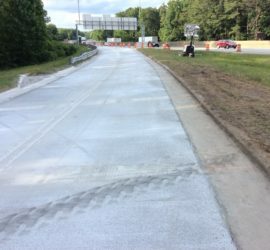 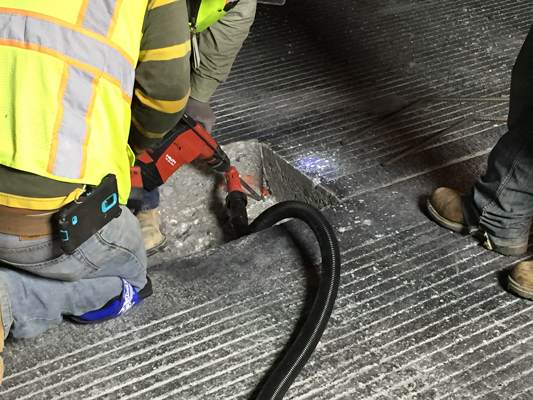 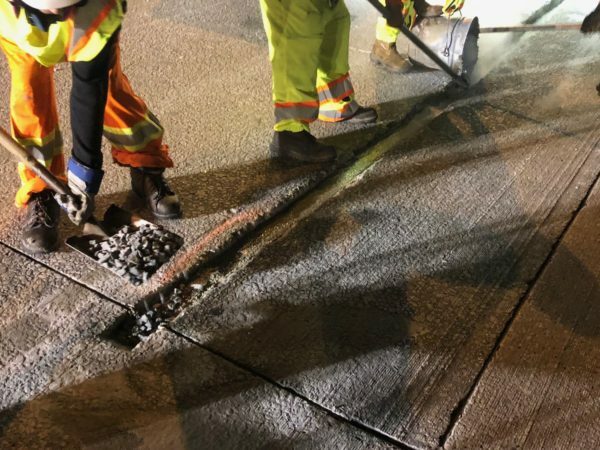 Two materials were produced, granular aggregate base, that meets DOT specs, and #4 rock, used for temporary construction entrances. 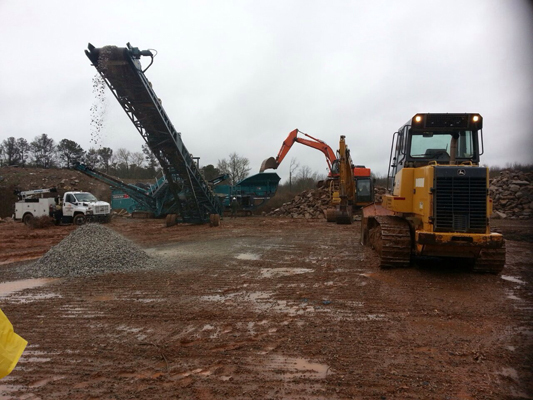 We recycled 5,000 cy of GAB, and 100 tons of rebar.